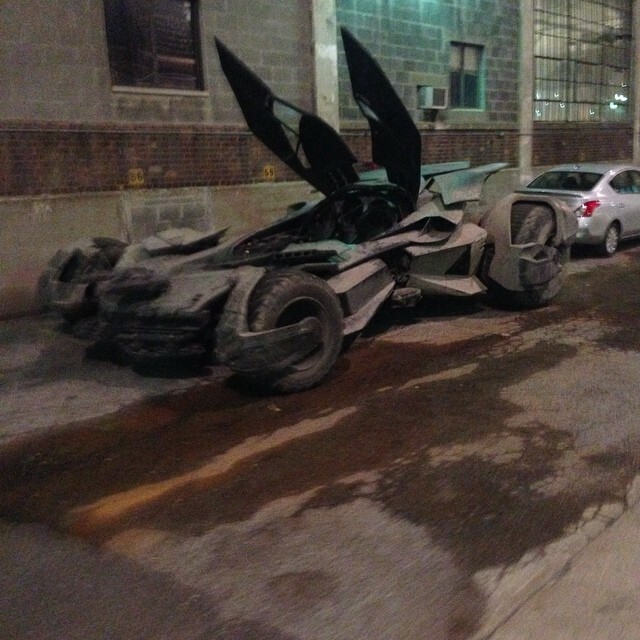 Batmobile Spotted on Batman v Superman Set! 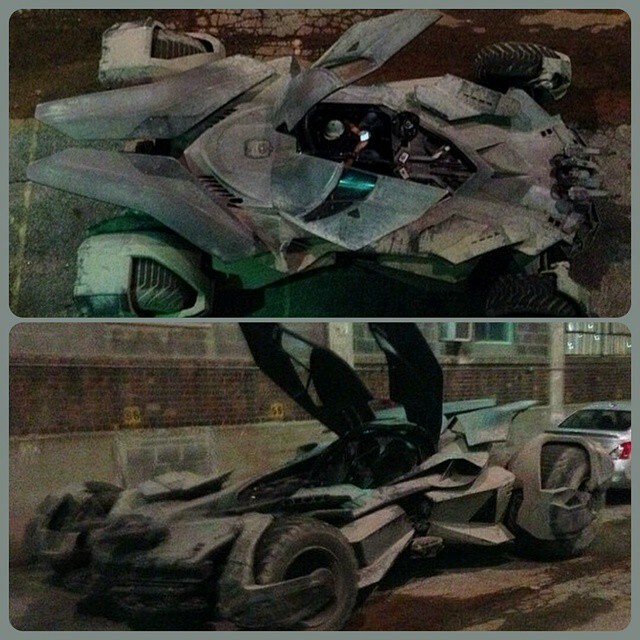 New set photos have arrived online of the Batmobile from director Zack Snyder’s Batman v. Superman: Dawn of Justice. Snyder teased a first look at the car along with an image of Ben Affleck as the Dark Knight back in May, but these latest photos show new angles of Batman’s iconic ride.